Judge Roy Moore claims to have proof that women are being paid to accuse him of sexual misconduct. From the facebook page of Kayla Moore, Judge Moore’s wife…. 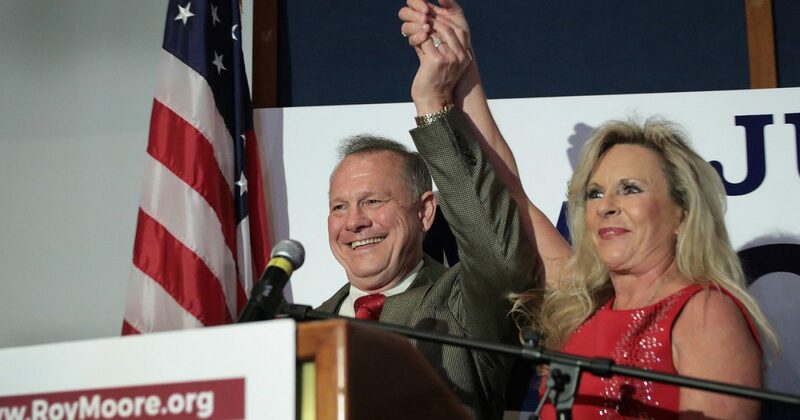 “After the accusations came out against Judge Moore his polling numbers did not change, so do you think they will let up?? We knew something was coming, just did not know what next. This is the same Gloria Allred that did the very exact same thing to Trump during his campaign . Going on two months now they’ve been on a witchhunt here in Etowah County and our state advertising people to step forward with accusations and we are gathering evidence of money being paid to people who would come forward. Which is part of why we are filing suit! If this can be proven, it is a slam dunk case against WaPo…. From Kayla Moore’s facebook page….